I am Chris Pringle and I WELCOME YOU to our website. I was born in Birmingham, AL and I have been a life-long resident of Mobile. I graduated from Murphy High School and attended the University of Alabama in Tuscaloosa where I obtained my B.A. in Communications. 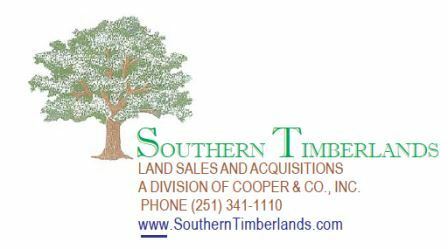 I became a licensed Realtor and joined SOUTHERN TIMBERLANDS in the early 1990's. Along with my career in real estate, I am also a licensed Alabama Home Builder, a licensed General Contractor, a Certified Control Burn Specialist, and have completed the Master Tree Grower II Course. I am proud of my involvement with the Alabama Treasure Forest Association. Whether it's in politics, in real estate or in every day life, I STRONGLY believe in having and using ethics in government, in the work place, and in all things that life leads you to do, as well. I have represented our great State of Alabama on the American Council of Young Political Leaders, and served with the International Republic Institute in Mongolia, where I worked with that nation's leaders to develop legislation on ethics in government. Together with my son, Reeves, we are active in our church and in many civic and community organizations. When I can find the time, I love to get away from my hectic schedule and enjoy the outdoors with my son at our farm in Washington County, AL. I am ready and willing to help you with any of your real estate and construction needs. So please call me if you are thinking of buying and/or selling any property in our area or in any other areas in Alabama. I am accustomed to working hard and I would appreciate the opportunity to work with you.